Research has shown that a child’s IQ can be increased by as much as 50 points by exposing him or her to educational toys during the first six years of life. Educational toys are a great way to stimulate even the youngest child, and they give parents the opportunity to play with and give positive feedback to their little ones. But with thousands of toys to choose from, it can be hard to decide what to buy. The following information can help you to better understand what you can expect from educational toys and where you can find the best toys for your child. Creative play and social skills. 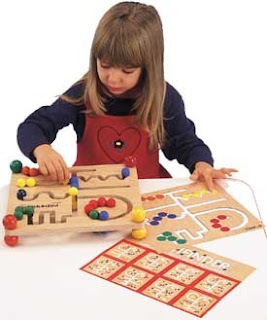 The right educational toys can engage your child’s imagination and help her to build self-confidence as she learns to manipulate objects and develops critical thinking skills. What about educational DVDs and video games? There has been quite a bit of interest over the last ten years or so in educational videos and electronic games; many parents were led to believe that these resources could boost their children’s intelligence and develop their artistic, musical, and language skills. However, research has demonstrated that video games and movies, even of the so-called educational genre, do little to increase a child’s abilities. While viewing educational shows is better than spending hours watching cartoons, the rule of thumb is that children should spend no more than 2 hours per day in front of a screen, whether a television or computer. How do I know which toys are right for my child? Educational toys are typically labeled according to the age group for which they are intended. These guidelines are the best way to determine which toys are most appropriate for your little ones. Toys with small pieces which can be put into the mouth are not appropriate for children under the age of three. Toys that are designed for older children can also be frustrating for smaller kids, so it is best not to assume that you have a budding Einstein and offer a Rubik’s cube to your toddler. Look for high-quality toys made from non-toxic, kid-friendly materials. Unfortunately, the best toys for kids are also the more expensive ones, as they are carefully made and tested for quality and safety. However, if you go to the right place, you can find affordable educational toys that are just right for your child. Check out the great selection of high-quality toys at www.akidplace.com and get your holiday shopping done early!